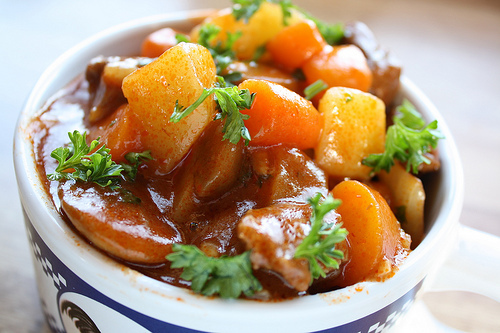 My spin on beef stew! Rinse and pat dry stew meat, dredge in whole wheat flour and place in heated oil. Transfer browned meat and drippings to the crock-pot. Cover and cook on low 8 hours or High 6 hours.